So much easier than just googling Weiner and jail. He might have company soon. 2. So much easier than just googling Weiner and jail. 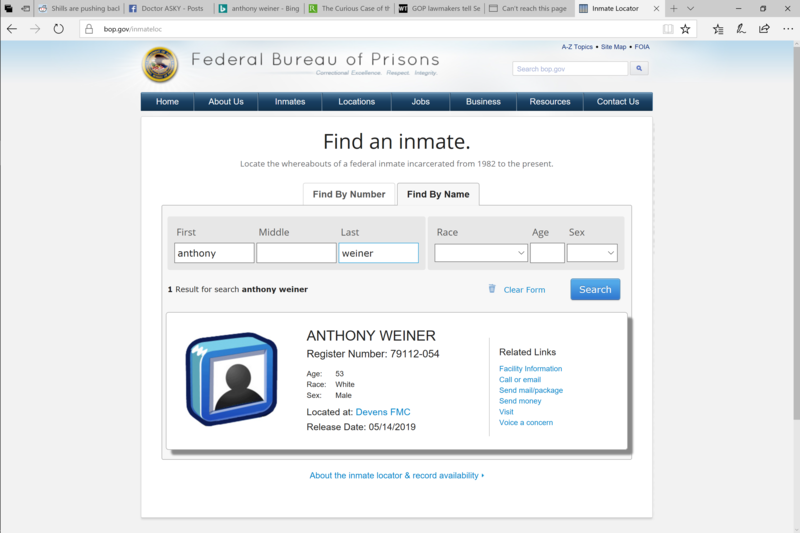 I dunno if you realize this, but there’s a lot of weiner out there on the interwebs. 3. He might have company soon.